Victims and families affected by the mass shooting in Toronto's Danforth neighbourhood last July call for a Canada-wide ban on private ownership of handguns and assault rifles, in their first public remarks since two people were killed and 13 injured. Victims and families affected by the deadly shooting in Toronto's Danforth neighbourhood last July on Friday called for a Canada-wide ban on private ownership of handguns and assault rifles. 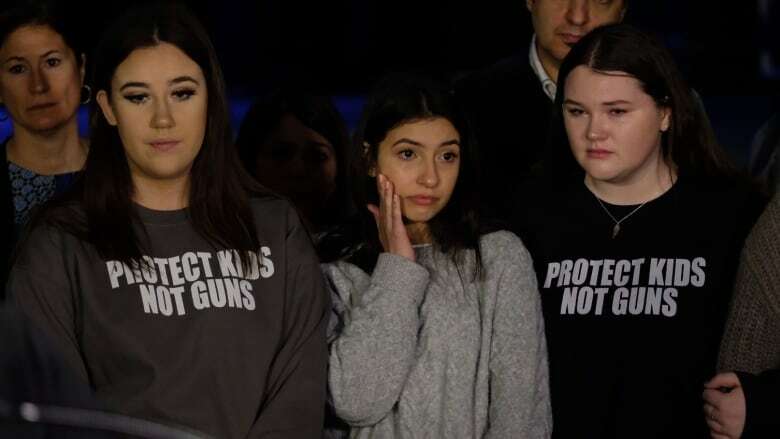 The group of almost a dozen people were at a morning news conference to make their first public remarks since the deadly rampage last July that left two people dead and 13 wounded. "What happened to us was a tragedy, and we think we could have had better odds had attitudes toward handgun ownership been different before that night," said shooting victim Noor Samiei, who was out with friends celebrating her 18th birthday on the night of the attack. The group also revealed an open letter to Prime Minister Justin Trudeau and a petition calling for the ban. 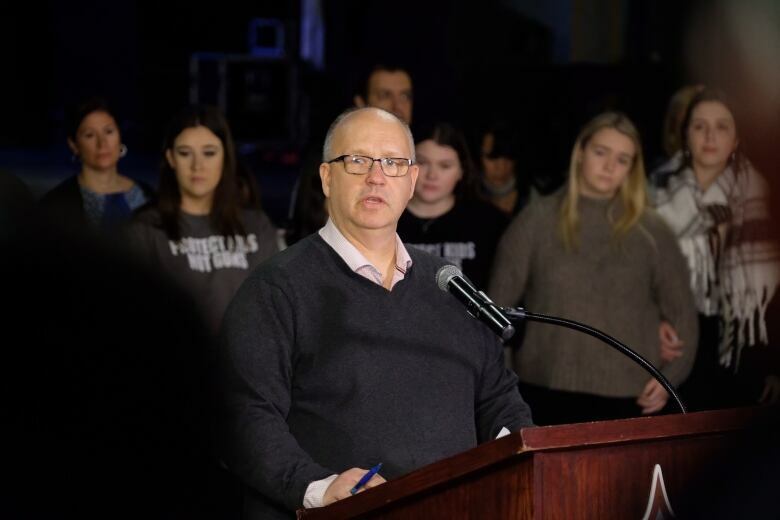 "We acknowledge that this action is not the only step that needs to be taken to stem gun violence; however, we believe it will be impactful and effective," the letter reads. The news conference coincides with the seven-month anniversary of the attack on an otherwise quiet Sunday evening on July 22 along Danforth Avenue in Toronto's Greektown neighbourhood, in an area also known as the Danforth. 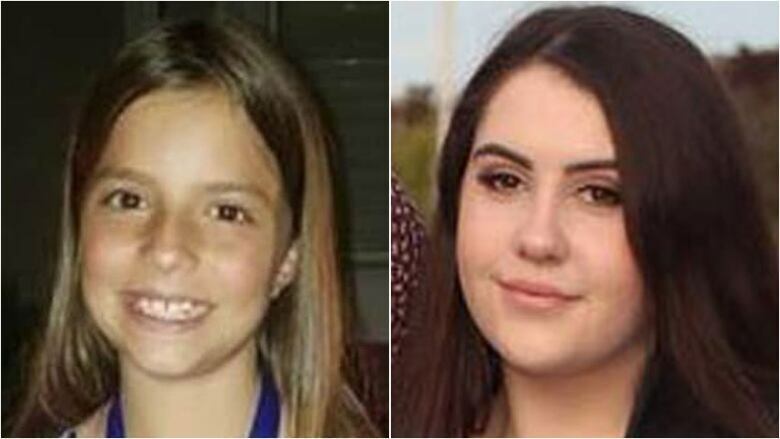 Reese Fallon, 18, of Toronto, and Julianna Kozis, 10, of Markham, Ont., died. The gunman, Faisal Hussain, died of a self-inflicted gunshot wound after a brief shootout with police. The group is calling out a perceived "lack of action" by governments to combat gun violence in the aftermath of the shooting. "We miss Reese and we miss Julianna. We have to live with that, but we don't have to live with the laws that could be changed to help prevent this from happening again," Samiei told reporters. "The pain and loss we feel without Reese and Julianna is indescribable," added 15-year-old Quinn Fallon, Reese Fallon's younger sister. "Because Reese and Julianna don't have a voice anymore, we are doing this in their honour." The group says that despite the best intentions of responsible gun owners, too many firearms end up stolen and on streets across the country. They would like to see handguns used for sport shooting owned by licensed shooting facilities, and not the people who take part in the activity. "Are we going to learn from our experience or are we going to express grief in the moment an move on? We are better than this as a nation," the open letter reads. The Liberal government is in the process of exploring the possibility of a national handgun ban. Bill Blair, minister of border security and organized crime reduction, is touring the country gathering information about the proposed ban, but the Danforth victims and family members worry the government will back off the plan. "The families fear that the initiative will fall short of recommending a handgun and assault rifle ban, and they want to ensure they see action," according to the letter. Blair is expected to make a recommendation to cabinet this month. Toronto Police Chief Mark Saunders said Friday the investigation into the shooting is now complete. He said the force will release more information about the attack, though he didn't say when. "I know that the public is interested in knowing a lot of things and there are a lot of questions to be answered, and we will put that forward," he said.